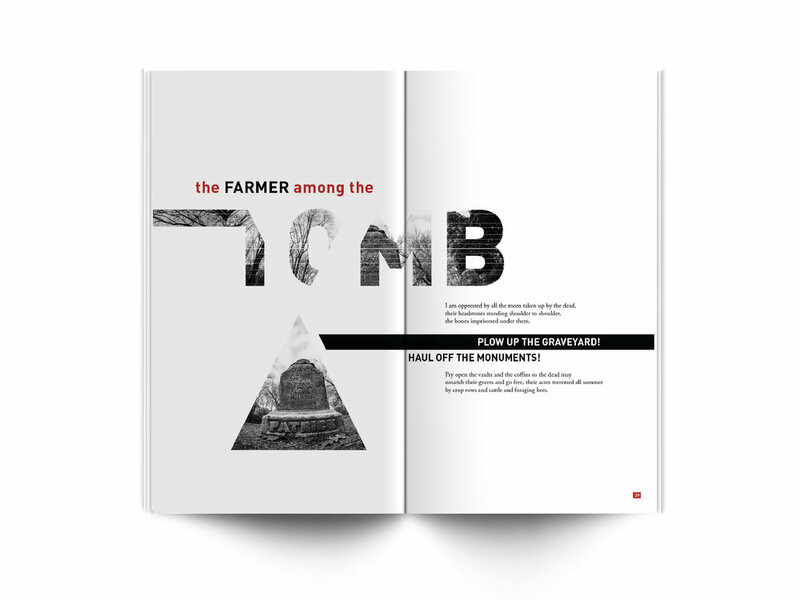 This editorial typography book project is made for a selection of work by an American author named Wendell Berry. The content emphasizes on Wendell Berry's belief that people should always come back to the community and contribute to the natural environment. It is the mercy of nature that allows us for further technological development, which satisfies our needs. However, humans are not grateful enough to the generous offering. Visually, this book explores the expressiveness of typography and how photos and images can work to complement typography. I created this red triangular shape that symbolizes the balance between nature, our community and our wants. All images credit to online sources and are manipulated and altered by me to fit the context.